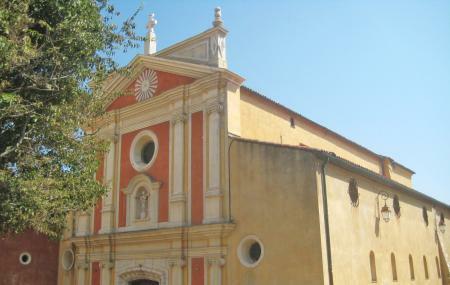 Antibes cathedral is a Roman Catholic cathedral located on the French Rivera. The cathedral is considered as a national monument of France. The church once destroyed by the barbarians was reconstructed in the 13th century. The the carved portal by Jacques Dole which belongs to the 18th century is the main highlight of the Antibes cathedral. The timings of the cathedral are not available. The entry fee is not available. How popular is Antibes Cathedral? People normally also visit Marineland while planning their trip to Antibes Cathedral. Unfortunately it was closed during lunch time when we get there, but from outside it was very nice. The chrch was booooooooooooooreng...... also i like frogs.........theey are rely kool!